You’ve found that special someone to spend the rest of your life with, booked the date, the big day’s approaching, and you’re wondering how to go about wedding transportation. Booking efficient, safe and professional wedding transportation in Los Angeles is important for making sure you and your guests have the time of your lives. Treat your guests to a once-in-a-lifetime wedding party experience, free of worries. What to do for transportation of the bridal party at a wedding? 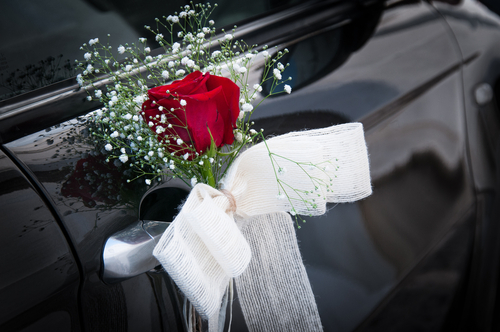 Take special care with providing enough space in the bridal car. While every bride wants her loved ones closeby on her big day, it’s better to keep the number of passengers down to a minimum to avoid perspiration and dishevelled clothes. This is especially true if the lavish bridal gown occupies a lot of room. A long train or a voluminous skirt can easily take up an extra seat. What is proper etiquette for transportation for a wedding? First things first, you’ll need to decide which members of the wedding party will travel together. Some common questions the couple faces are if the bride and groom will be seated in the same car and where the bride’s parents ride. Before the wedding ceremony, the bride should ride with her father or a different person, if they are the one giving her away at the altar. The bride’s mother, siblings or closest friends might also join them in the car but a separate vehicle for the bride’s posse would provide more space and comfort if the budget allows for it. The groom and his party should ideally be in another vehicle, too. Is your wedding reception at a different location from the one where the ceremony takes place? Once that the wedding ceremony is done, the newlyweds can travel to the wedding reception in the same car. The parents, friends and relatives can then be seated in the remaining vehicles. Whether the ceremony takes place at Los Angeles City Hall or at a reception venue, you’ll need to make sure your wedding party arrives on time. If you choose one of LA public wedding venues, make sure to find out whether you need special permits. Then, start browsing reputable companies that provide wedding transport. It’s advisable for the happy couple to arrange for wedding transportation early. You want to make sure that the transportation company has available vehicles on your desired date. Book well before the special day, especially if it’s in late spring or early fall because these are the times of the year when most people get married. You’re planning your wedding with care, thinking through every detail so it contributes perfectly to the celebration of your love. Wouldn’t you hate it if your guests had to stress out about joining the festivities on time or about getting home after they’ve had a lovely time with you? This is why you should book a wedding shuttle with a well-known, dependable transportation company. If you’re looking for LA wedding transportation that’s stylish and trustworthy at the same time, look no further. Stay Classy LAX is a renowned transportation company whose luxurious vehicles will leave your breathless. What’s more, we promise that the price of wedding day transportation we charge is fair and honest. Take your celebration to the next level with Stay Classy LAX elegant cars and experienced drivers. Sail into a new chapter in your life comfortably with the help of our premium services. Let the festivities begin and make lasting memories with your loved ones!